The texture and contour of a beach-gathered shell, once fragile, is now transformed into solid silver gracing a pendant. The unfurling spiral of a fiddlehead fern is echoed in the spiral of a multi-strand braid, enhanced with beads. Shocking pink and orange blend into blue and gray as the sun sets over the ocean, inspiring luminous color combinations. The natural beauty of Mendocino, California, my home since 1979, is an infinite source of inspiration. 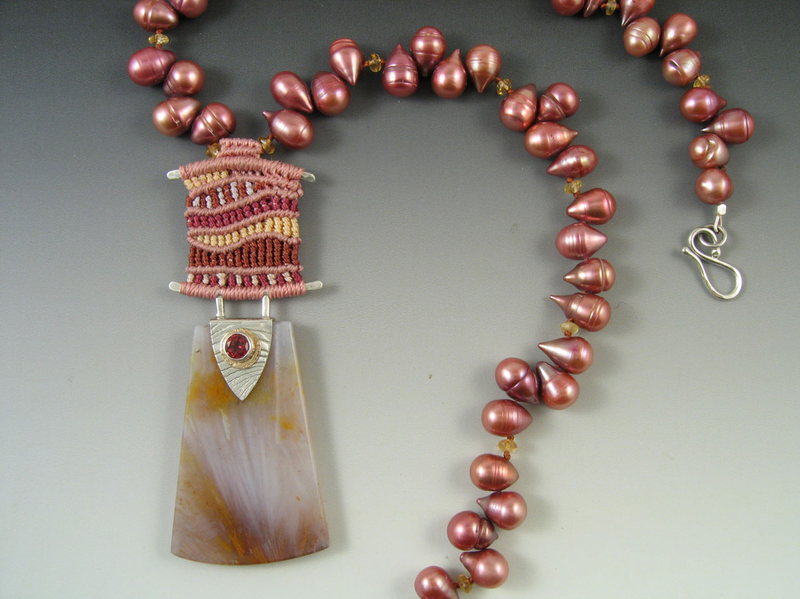 The mixed media jewelry I create is the culmination of over three decades of work. As a landscape designer I have honed my skills working with contrasting textures and forms. During fifteen years as a tapestry weaver my woven imagery depicted the natural world as well as geometric forms, often in combination within a single piece. 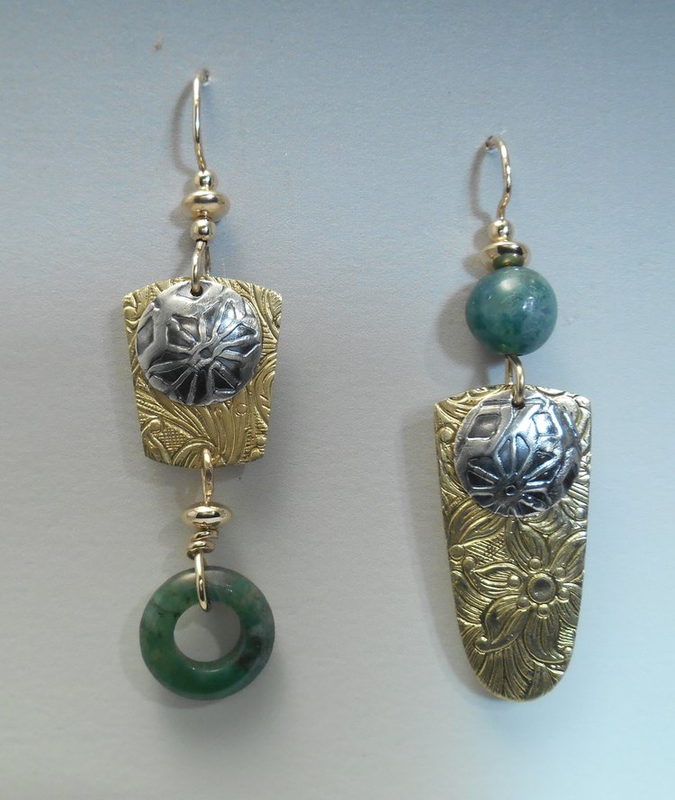 In 1997, the alluring call of adornment led me down the path of a jeweler. My interest in color, contrast, and tactile surfaces continues with each technique I explore. 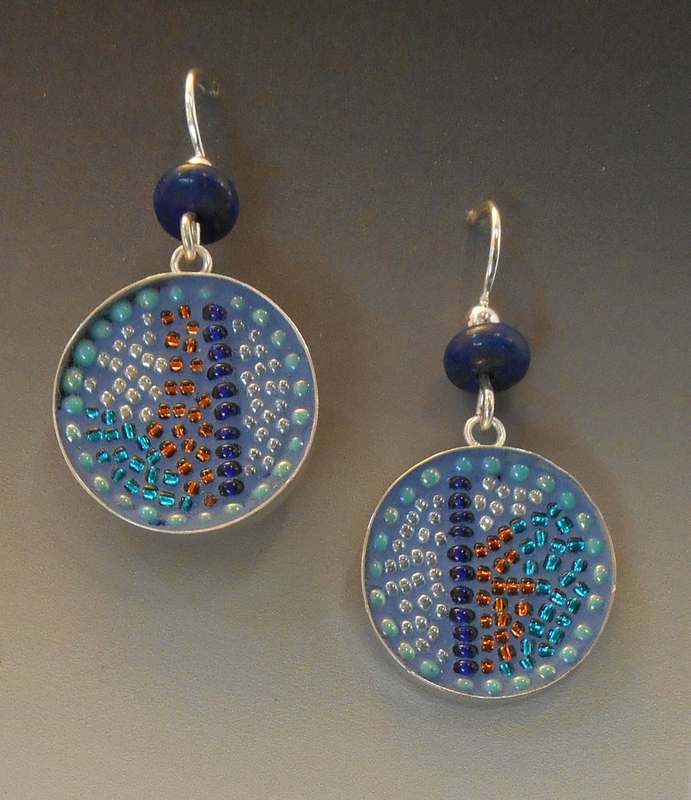 I continue to try new processes and materials, and my jewelry may be formed from metals, enamels, beads, polymer clay or fiber. 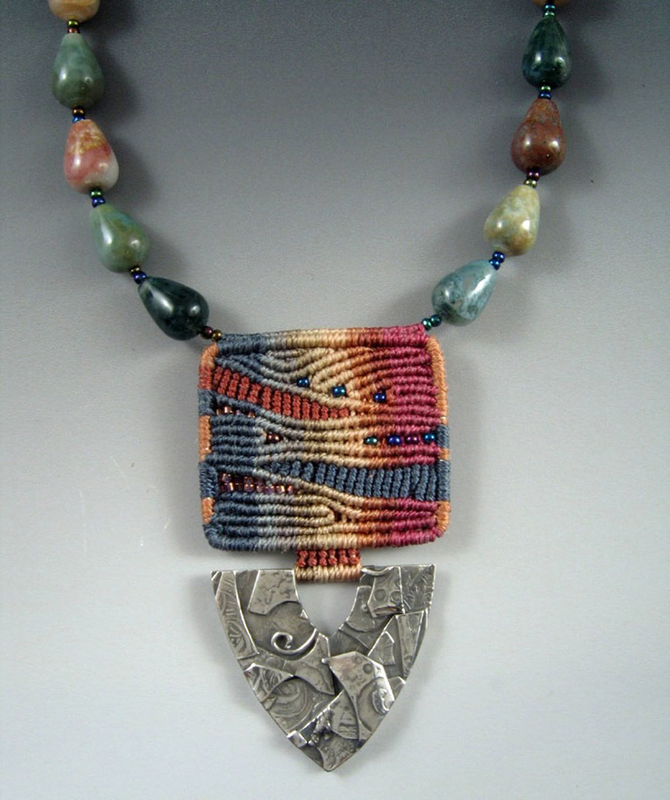 I enjoy the challenge of combining different elements and processes within a piece. The quality of each different material leads me on to see what its potential might be.